On the whole, the high-end domestic clothing market in China is dominated by brands of European origin and other imported products, such as Giorgio Armani, Cerruti 1881, Hugo Boss, Dunhill, Chanel, Dior, Ermenegildo Zegna and Salvatore Ferragamo. The middle and low end of the market has a product mix of foreign and domestic brands, with most of the goods being manufactured in China. A small portion of these products are sourced from developing countries and least developed countries (LDCs), and imports from LDCs are growing steadily. To be specific, brands such as Nike, Adidas, Tommy Hilfiger, Zara and H&M are sourced from developing countries and LDCs. For example, in Zara’s stores in Shanghai, over 90% of stock-keeping units (SKUs) are imported, with Bangladesh, Egypt, Morocco, Portugal, Spain, Turkey, and Viet Nam and being the main import sources. Bangladesh, Cambodia, India and Indonesia are also important procurement target countries. 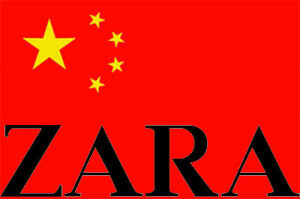 Shoes made in Viet Nam and Spain account for a high proportion in Zara. New H&M stores in Shanghai attracted thousands of consumers when they opened in April 2007 Of H&M’s SKUs, 75% are imported, with Bangladesh, Cambodia, India, Indonesia and Turkey being the main source countries. Most of H&M’s shoes, hats and scarves are procured in China. The situation for C&A is similar. Nevertheless, China’s clothing industry still possesses great competitive advantage in terms of labour cost, lead time, vertical integration of the industry, the variety of products, and political stability from a Chinese perspective. Giant retailers, such as Wal-mart and Carrefour, are also expanding their business in China. Many multinational retailers, international fashion brands, and overseas trading firms presently find it profitable to manufacture clothing in various developing countries and LDCs and export to China for sale. With global sourcing, they benefit from proximity to the market, economies of scale and low processing costs. However, relatively few local Chinese retailers, importers and brand owners choose to import or source clothing from other developing countries or LDCs, because of a perceived level of risk involved with this. The other factor is a lack of supply chain management skills in these countries. 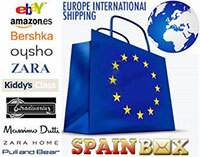 Home retailers are importing more and more luxury brands from developed countries to meet high-end demand in China.